Country is going through turbulent period. Both governing party and opposition party are surrounded by the charges of corruption. BJP's party president itself is under the scrutiny and they are trying to figure out who is going to lead them in most awaited upcoming assembly elections. 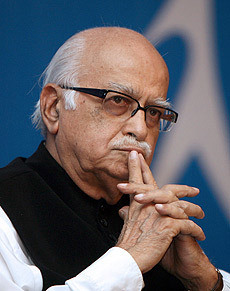 His detailed chart is available in AstroSage Research Database at http://www.astrosage.com/celebrity-Horoscope/lal-krishna-advani-birth-chart.asp. 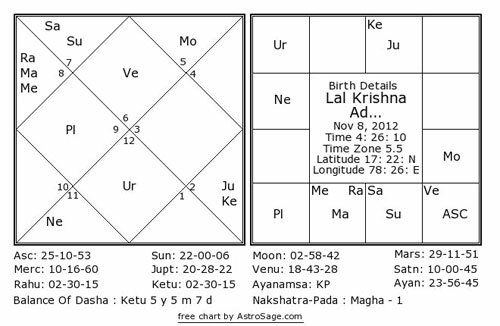 Coming back to Advani ji, current year's varshfal chart shows some very interesting points about Advani. 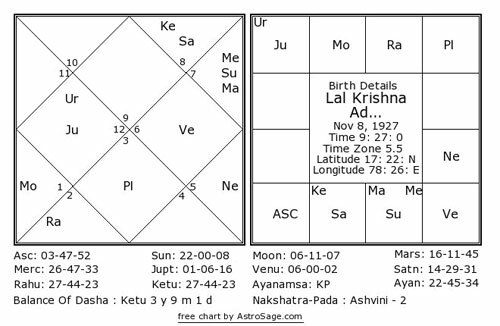 I am not planning to go into detail of all that but in a nutshell, Lagna having benefic Venus and aspect of Jupiter on Lagna is a good indication. On top of that Muntha of this year is going to be in 5th house. Overall, this shows more power to him. He will be in more authoritative position and I'll not be surprised that he will be playing a mentor role for the party in terms of president of the party or some other similar form. 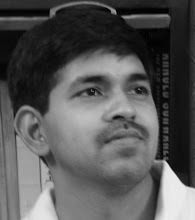 Moreover, his Saturn antardasa in Saturn mahadasa is just ended and Mercury antardasa is started. Mercury is situated in 11th house, the house of happiness and fulfilment of desire. Mercury owns 7th house of public and 10th house, the house of fame and professional success. Mercury is in the nakshatra of Jupiter in 3rd house owning other two houses of power viz 1st and 4th house. Overall Mercury also indicates success and fame in the coming period. Finally, it looks like an excellent period ahead for Advani starting with this birthday. He will be playing very important role in the party and leading from the front while taking party to the elections. It looks like it is not only me but also stars wishing him this birthday.